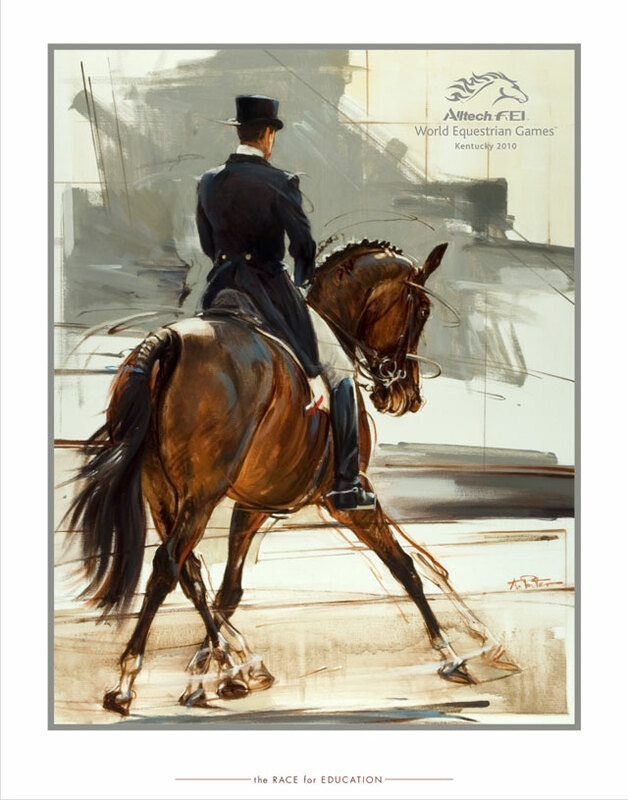 In recognition of this year’s Alltech FEI World Equestrian Games, which will be held in Kentucky this fall, equine artist Andre Pater has created four paintings, each depicting one of the WEG disciplines. A limited edition run of 500 prints of each image is currently being offered as a fundraiser to benefit the equine industry through The Race for Education (RFE). 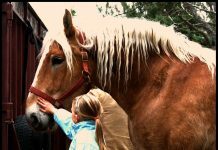 RFE is a non-profit organization that offers need-based scholarships for young people from families employed in the equine industry as well as students seeking to pursue a career in the horse industry after graduation. In addition, RFE offers assistance in finding industry careers after graduation. The organization benefits students with a GPA of 2.85 or higher with a financial need and who may not be eligible for other scholarships or assistance. 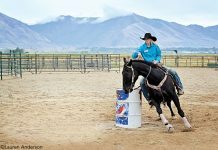 They are chosen by a selection committee of horse industry professionals based on financial need, leadership, a personal interview and an essay. Since its founding in 2002, RFE has helped over 300 students in more than 40 states with $2.5 million in college scholarships. 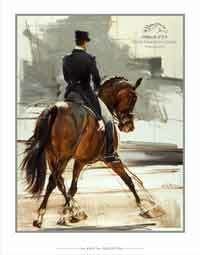 Polish-born artist, Andre Pater first came to the United States in 1981 after graduating from Krakow Academy of Fine Arts and cites Sir Alfred Munnings as his greatest inspiration. Pater has been painting in Lexington, Kentucky for over twenty years exemplifying his use of light, movement, and superb draughtsmanship. 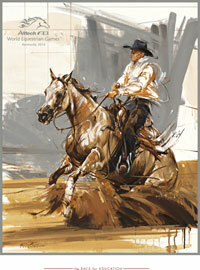 The horse capital of the world has been a heavenly environment for the artist. Its landscape of scenic winding farms with horses and cattle grazing in the pastures, Keeneland Racetrack, lush hunt country, and international sporting events like the Rolex Kentucky Three-Day Event are only a few of the endless inspirations Pater has found in the Bluegrass region. Thanks to a strong following of committed and passionate equine art lovers and collectors, Andre Pater’s 1998 Cross Gate Gallery show and 2002 London show- also presented by Greg Ladd of Cross Gate Gallery- had sold out prior to their opening nights. Pater’s oils, pastels, charcoals, gouaches and limited edition prints can be found in numerous private and corporate collections all over the world. His works have been at Sotheby’s and shows regularly at Cross Gate Gallery in Lexington, Kentucky and Saratoga Springs, New York. 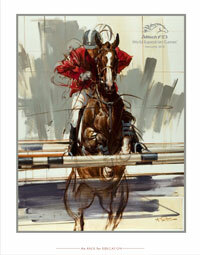 The collection of paintings commemorating the 2010 Alltech FEI World Equestrian Games to benefit The Race for Education will be on view at Cross Gallery in Lexington, Kentucky through January 31, 2009 before showing in Ocala and Palm Beach, Florida. The paintings will also be part of the Andre Pater Retrospective Exhibit at the Art Museum of the University of Kentucky from June 27, 2010 until being sold at auction on September 30, 2010. The limited edition prints of these works will be available to supporters of RFE who make a $250 donation.